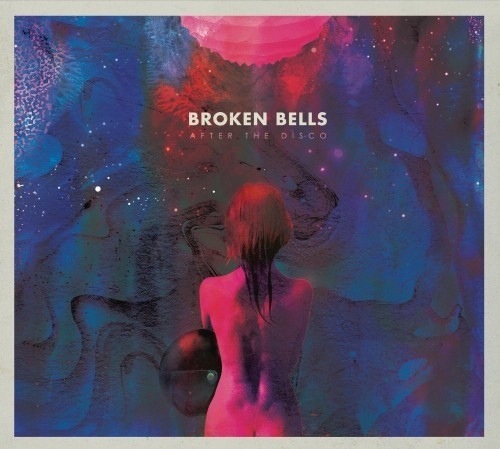 The success of a side-project/supergroup like Broken Bells is difficult to predict. Maybe I’m jaded, but it seems a partnership like this is bound to either be much more or much less than the sum of its parts and unfortunately Broken Bells’ second album leans towards the latter. Consisting of prolific Grammy award winning producer Danger Mouse and The Shins frontman vocalist James Mercer, Broken Bells seems like a good idea on paper. Pair Danger Mouse’s clean production with one of the most unique and recognizable voices in indie rock and you’ve got instant buy in from a respectably large audience of fans familiar with Gnarls Barkley, The Shins, Gorillaz, Cee-Lo Green, etc. After The Disco isn’t necessarily disappointing; its just not surprising and that is a damn shame. From start finish, everything is clean, innocuous and woefully predictable. The lead off track “Perfect World” stands apart with a progressive movement through different rhythms and changing patterns. Its one of the few tracks on the album that takes you on a journey. For most songs on After The Disco, you will experience the entirety of the song in the first 30 seconds. Its no fun to end up in the same place you started and I’m holding Danger Mouse personally accountable for this. A simple, clean, rhythmic style isn’t inherently uninteresting but the execution here is generally pretty forgettable. Luckily, James Mercer brought his A game. His lyricism and imagery are the only consistently strong feature of the album. Perhaps born a few decades to late, it seems like Mercer was born to sing disco hooks. His falsetto performance redeems a few tracks on the album that could have been entirely forgettable otherwise. “Holding On For Life” is a mid-tempo disco groove that receives a healthy jolt of energy from Mercer’s high flying falsetto chorus while showing us a teasing glimpse of how great Broken Bells could be. After The Disco is an uneven and largely forgettable collection of songs but thanks to the vocal dexterity and undeniable songwriting chops of James Mercer the final product is at least decent. Replay value here is limited but I’ll keep a few songs on rotation and I am still reluctantly excited to see these guys do their thing live at Coachella.